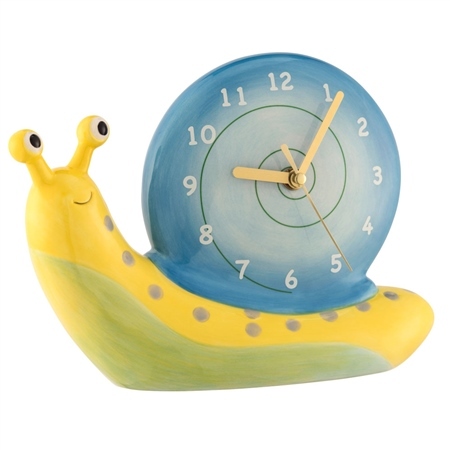 Lets hope that time goes slowly with this Snail Clock as your little ones grow up too quick. Ideal for a nursery or toy room, this clock is a great colourful addition to your home. With clear numbers and minute, hour and seconds hands, this fun clock is perfect for teaching your children how to tell them time. Very cute clock,sure my Grandson will love it .